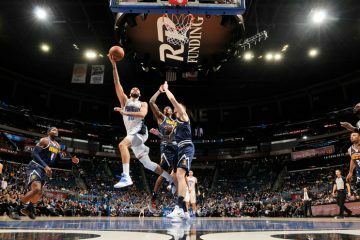 The Orlando Magic were looking to turn its fortunes around in Phoenix Friday night after back to back heartbreaking losses to the Golden State Warriors and the Portland Trail Blazers. In both games, the Magic allowed the opposing stars of Kevin Durant (49 points) and Damian Lillard (41 points) to go off for big nights. 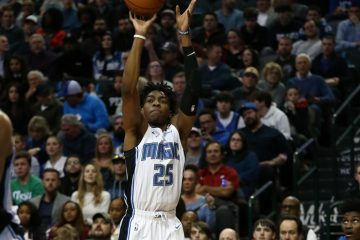 Hoping to inch themselves back to the .500 mark, facing one of the NBA’s youngest teams in the Suns (4-18), the Magic aimed to get themselves back on track. 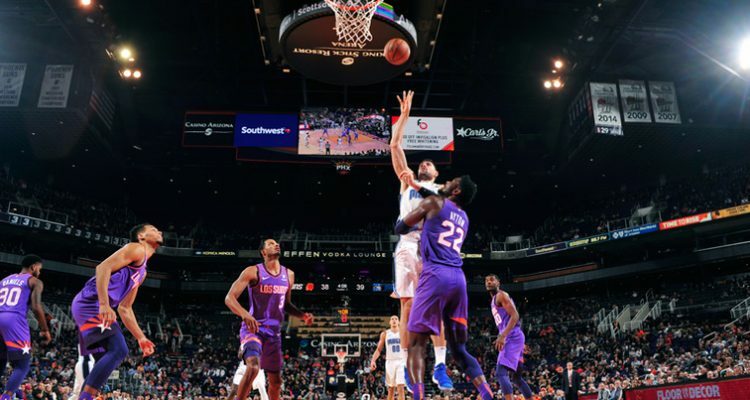 Orlando got another big game from Nikola Vucevic, who scored a team-high 25 points and pulled down 15 rebounds as the Magic cruised by the Suns 99-85 at Talking Stick Resort Arena. The Magic (11-12) will conclude their road trip down in Miami when they face the Heat on Tuesday night at 7:30 p.m.
”I was just trying to stay aggressive. For big men, it takes a little bit, especially on the defensive end, to kind of get a feel for it. The game is so fast,” Vucevic said. Vucevic also mentioned that Phoenix Suns’ center Deandre Ayton is going to be a very good player moving forward. Ayton ended the night with 19 points. ”He’s going to be a real good player,” Vucevic added. Orlando thought heading going into the game in Phoenix that they might be without the services of forward Aaron Gordon, who has been dealing with a back injury that held him out of the Portland contest. Gordon bounces back with a solid night and scored 18 points and nabbed six rebounds. 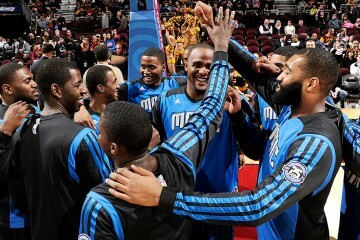 The Magic have received consistent bench play, especially from forward Terrance Ross. Ross ended up scoring 21 points off the bench. Point guard DJ Augustin scores 16 points and dished out six assists in the win. The Suns struggled without shooting guard Devin Booker, who has been out of the lineup due to injury.